The tee shot is downhill with large trees down the left and out of bounds right, so accuracy is paramount. The fairway bottoms out to leave a second shot that is uphill. 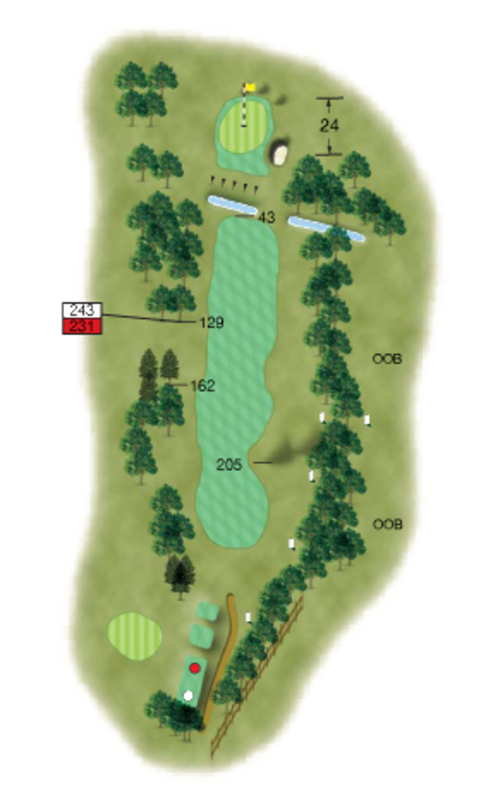 A ditch runs across the fairway, just 20 yards in front of the green making club selection very important. A lone bunker guards the right side of the green. Be careful not to under club for the approach shot as it's all uphill and a lateral water hazard and heavy rough catches anything short.